Watch the video below of the 2018 INDYCAR unveil. 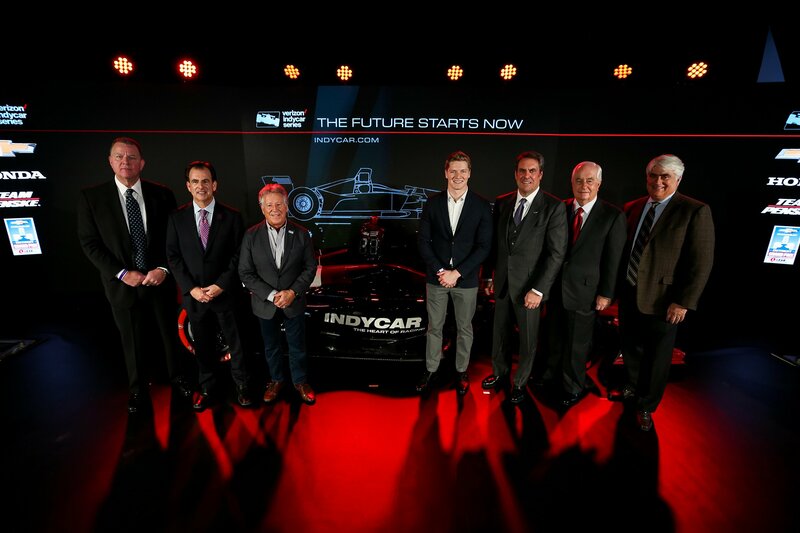 DETROIT (Tuesday, Jan. 16, 2018) – For INDYCAR, “The Future Starts Now” – and it began today with the official unveiling of the highly anticipated car that will rule the roads, streets and ovals in the Verizon IndyCar Series for 2018 and beyond. A panel of dignitaries from within the sport and the automotive industry gathered at the North American International Auto Show to talk about the newly developed universal aerodynamic bodywork kit that will be affixed to the Dallara IR-12 chassis and used by all competitors in the 17-race season that begins in seven weeks. The universal kit is the result of more than two years of discussion, design, simulation and testing. Mark Miles, CEO of Hulman & Company, the parent of INDYCAR and Indianapolis Motor Speedway, told media attending today’s presentation that reception to this point has been emphatically positive. Josef Newgarden won the 2017 Verizon IndyCar Series championship driving a Team Penske Chevrolet in the last of three years of aero kit competition between Chevy and Honda. Those kits constantly sought ways to add downforce for higher cornering speeds – much of it generated by winglets and other aero attachments to the top of the race car. Going forward, the universal kit produces less downforce overall and most of it from the underwing on the bottom of the car. Newgarden is all for that. “We’ve tried to check the boxes on everything you need to with this car to make sure it’s going to function well and give us what we were looking for from a design standpoint,” said Newgarden, the 27-year-old from suburban Nashville, Tennessee. “INDYCAR is really looking to deliver on big promises. As you can see, it’s bolder, it’s more daring and really, we believe it has improved aerodynamics that are going to help the racing product tremendously, so I’m looking forward to that probably the most. The universal kit was reverse-designed to start with an aesthetically pleasing look – sleek, bold and reminiscent of fan favorites from the 1980s and ’90s. From there, the aerodynamic and safety objectives were achieved without sacrificing the appealing appearance. Walking around the car on stage, Newgarden outlined the changes. He pointed out the smaller front and rear wings with fewer pieces that could create more debris in on-track incidents. He mentioned the redesigned undertray that will improve air flow underneath the car while helping diminish the wake of turbulent air behind the car, thus making it easier for cars to approach and attempt to pass a car in front. 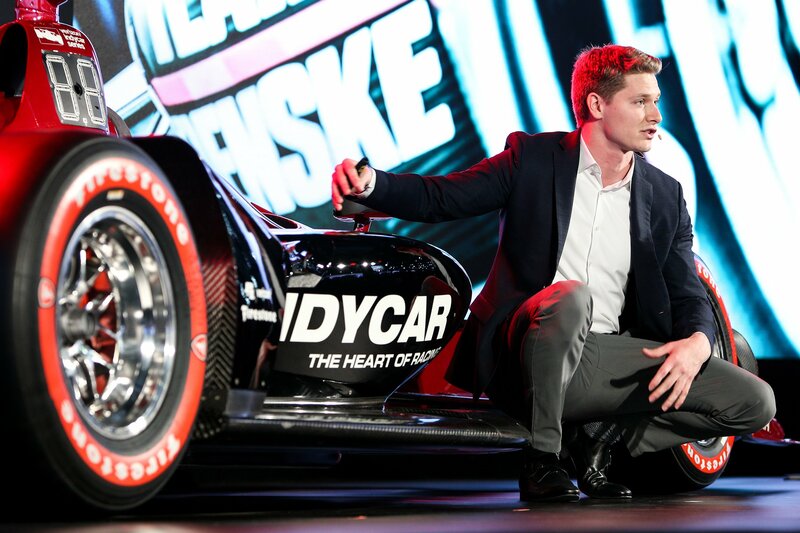 Newgarden also highlighted the sleek lower engine cover, leaner rear tire ramps and improved safety with reinforced sidepods and moving the radiators farther forward to absorb side impacts. He added that removal of the rear wheel guards and other parts from the previous kit shifted the weight balance slightly forward, which will improve handling. “The design has really been clear on what we’re looking for,” Newgarden said. “We want it to be an incredible-looking Indy car. We want people to come back to the IndyCar Series and love what we’re producing from an aesthetic standpoint, but the message that we really want to push is that our racing product is going to be the best on the planet. 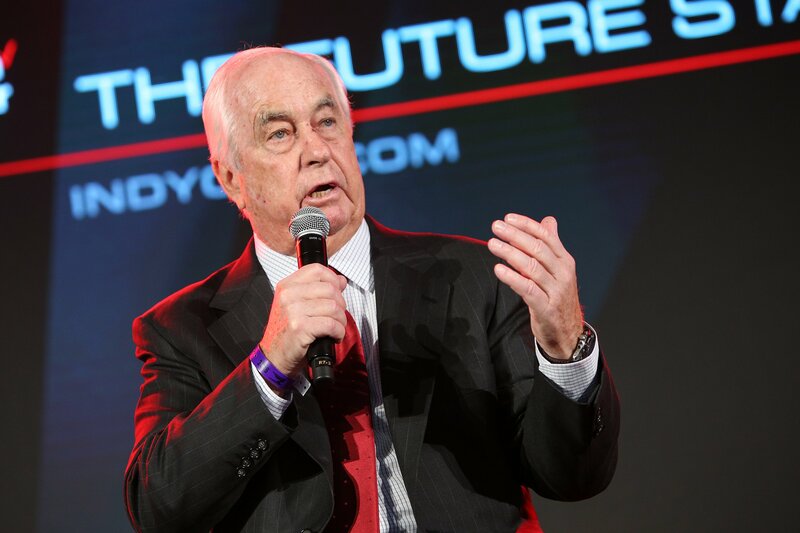 Newgarden’s boss, Team Penske owner Roger Penske, also participated in the presentation and agreed with his star driver. Indy cars owned by Penske have won 15 season championships, 16 Indianapolis 500s and 197 total races since 1968. 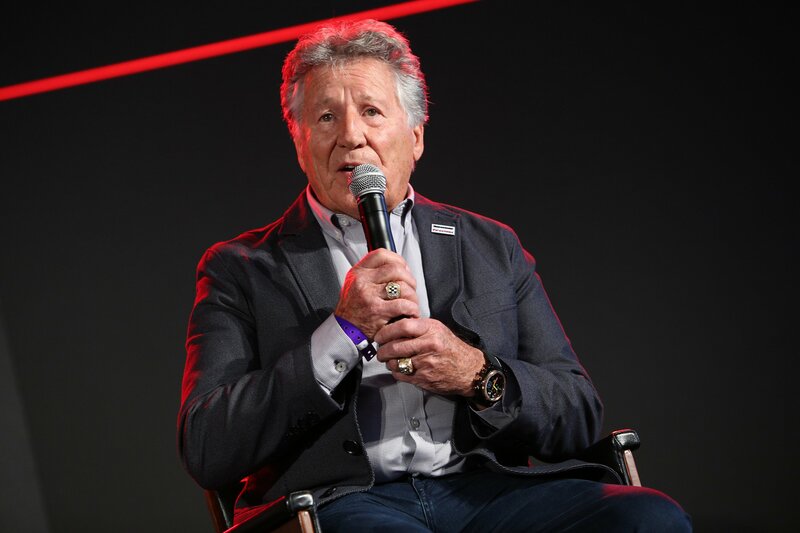 Mario Andretti, whose 52 wins rank second on the all-time Indy car chart, has been around the sport for more than five decades. The four-time champion applauded INDYCAR for developing the universal kit and what it means for the series. “Our audiences today are more sophisticated than ever and they want more and more from us as far as the product, as far as action on the track, overtaking and so forth,” the legendary driver said. “We have to give it to them because that’s what we like to do, ultimately. I think this is the best way to achieve it. The 2018 Verizon IndyCar Series schedule consists of 17 races, starting with the Firestone Grand Prix of St. Petersburg on March 11 (12:30 p.m. ET, ABC), anchored by the 102nd Indianapolis 500 presented by PennGrade Motor Oil on May 27 (11 a.m. ET, ABC) and concluding with the Grand Prix of Sonoma on Sept. 16 (6:30 p.m. ET, NBCSN). Watch the NAIAS presentation at: http://www.indycar.com/Videos/2018/01/01-15-Future-Starts-Now-live-stream-promo.